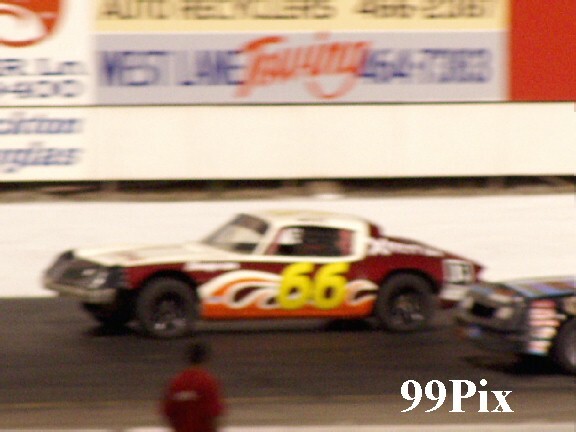 STOCKTON 99 SPEEDWAY, SATURDAY, JULY 24 -- Stockton’s Pete Anderson Jr. didn’t arouse any fans’ expectations when he didn’t make the top five in qualifying runs, or make it into the dash. 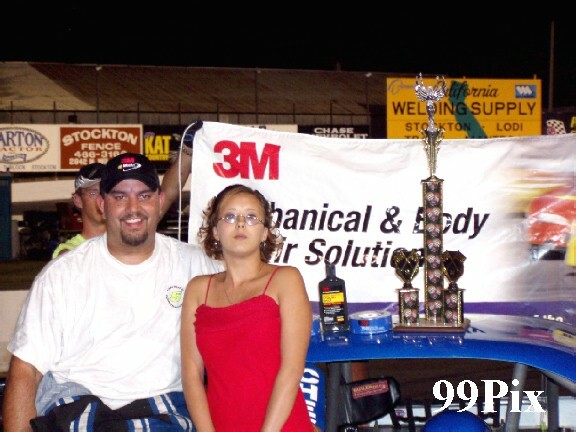 But he proved that anything can happen between 4:30 p.m. and 8:30 p.m. -- the time span between qualifying and the Western Late Model main, where he claimed his fourth win in NASCAR DODGE Weekly Series action. 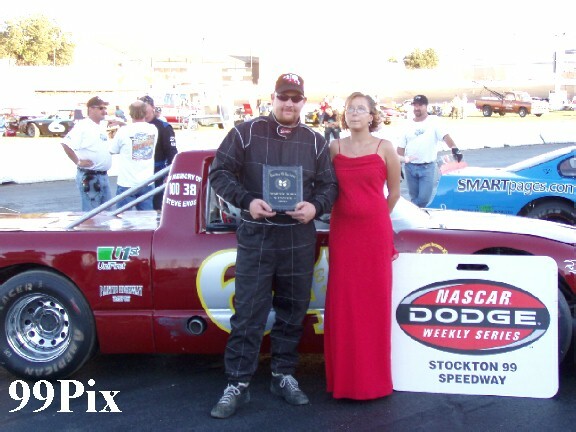 Anderson Jr. is running second in total points on Stockton 99 Speedway, NASCAR’s fastest quarter-mile oval west of the Mississippi. Pacific Grove’s, #9, Dave Byrd is leading the pack for the season. Anderson Jr. said that his car is running good, but that it would be difficult to catch up with Byrd, “But we’re gonna try to catch him,” said Anderson Jr. with a hopeful, competitive look in his eye. Byrd may prove to be out of reach in HAVOLINE/CL BRYANT main action, but the competition in the second through fourth race will intensify track action. 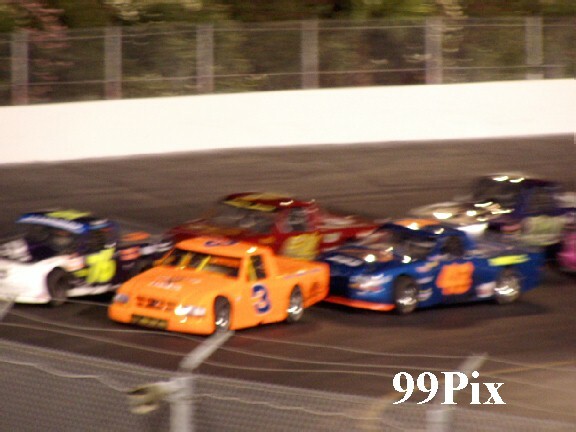 From here on out, NASCAR fans won’t want to miss Anderson Jr., Manteca’s, #61, Guy Guibor, Granite Bay’s John Moore, #27, and Turlock’s #11, Chris Monez battle it out each week. 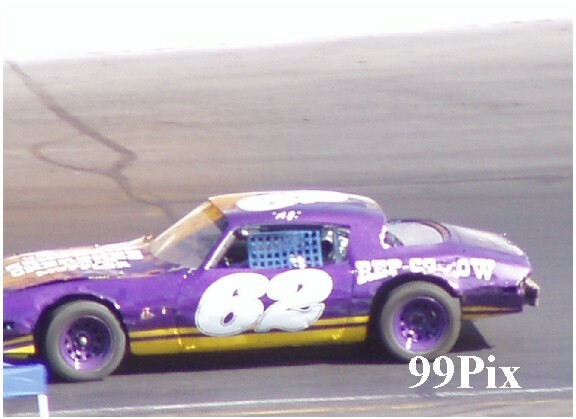 And, with unexpected entries like Modesto’s #74, Harry Belletto -- a past track champion and on of Stockton’s all time greats -- checking in every now and then, quarter-mile action will prove to be better than ever. Moore, the dash winner, finished second in the main, Monez third, Belletto fourth and Lodi’s Mike Garcia came in fifth. 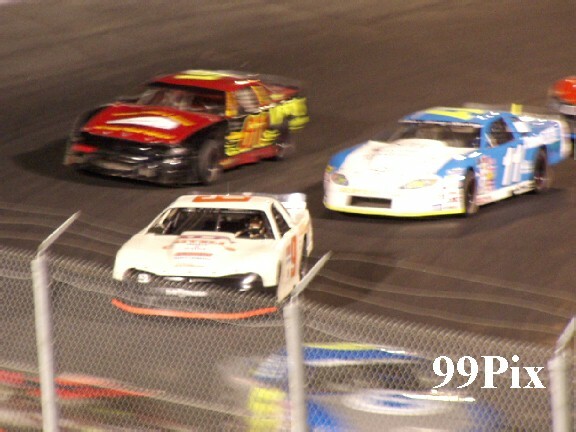 If you are a NASCAR fan looking for action before, during and after a race, then you need to take a look at Stockton 99 Speedway’s Pure Stock division. 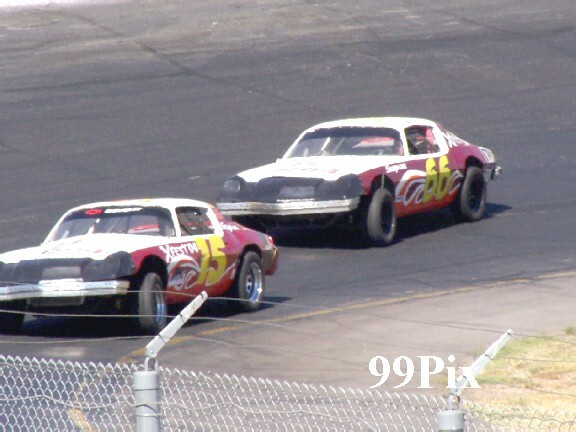 Twenty cars took to the track, first place changed hands at least six times, an excessive-cubic-inch engine cost one driver a disqualification and Stockton’s #66, Ken “The Rat” Ratcliff -- in his trademarked, aggressive style -- weaved his way from nine deep to nab his first main event win ever. 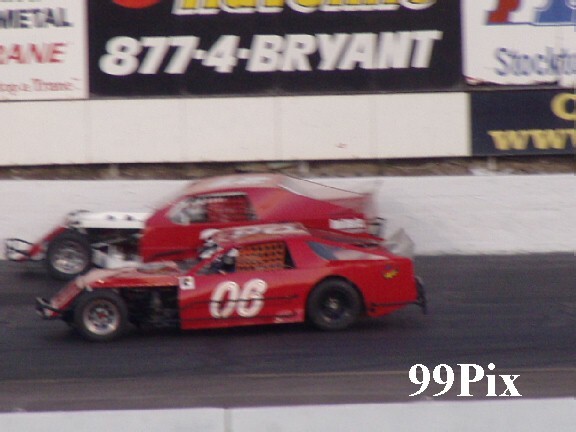 It looked as if last week’s winner, Stockton’s #8, Kannai Scantlen, was going to take the win, again. 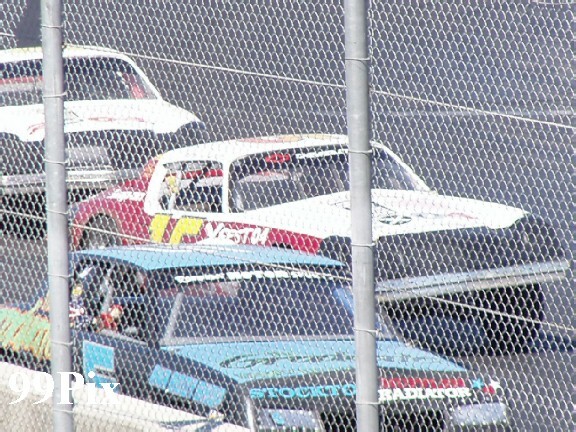 Then, in lap-16 Stockton’s #62, Allen Rider took to the wall on the front stretch raising the caution flag and a cloud of smoke. On the restart Scantlen, who was lined up at pole with The Rat to his outside, quickly leapt into the lead. 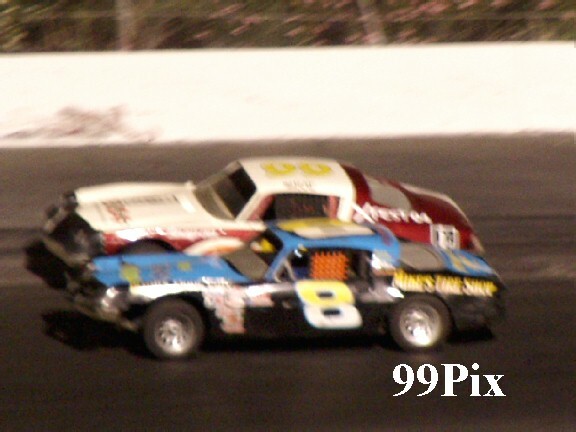 Another caution was raised when Manteca’s #0, Michael Brooks Jr. and Stockton’s #63, Leroy Hunt collided on the back stretch, causing a number of close calls and forcing drivers around them on the track and on the grass. On the restart Scantlen and The Rat were lined up again at pole and outside pole, both battled for first and second through lap-24. On lap-24 Ratcliff slithered his way to the lead when he took the inside out of turn-4, he held it through the checkered. The main‘s tech inspection was a nail bitter. NASCAR officials scrutinized The Rat and his competitors with a magnifying glass, In the end one was knocked out for a cubic inch violation, but The Rat and the rest of the field remained intact. Pure Stock fans thought that they might have seen Modesto’s #15, Charlie Clawson pull off another main win when he took the dash, and it appeared as if he was going to after clawing his way to second in the main. But a busted rear wheel dashed his hopes and forced him to drop to the back. 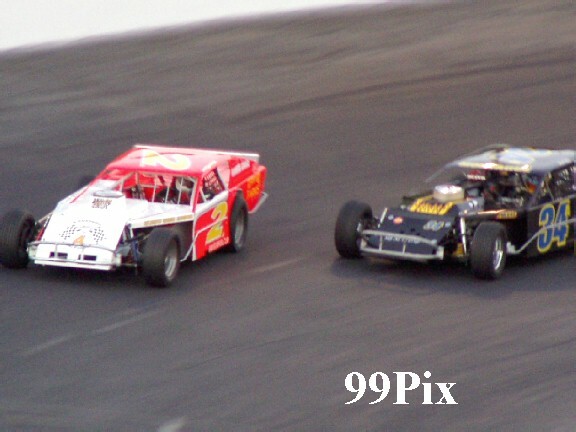 Scantlen took second in the main, Stockton’s #5, Richard Harper earned second, Galt‘s #6, John Medina took third and Lodi‘s #16 David Sullivan finished fifth. 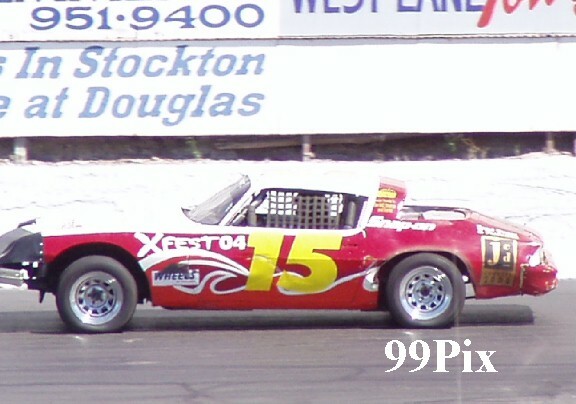 Lodi’s #64, Danny Basto earned his first main win. 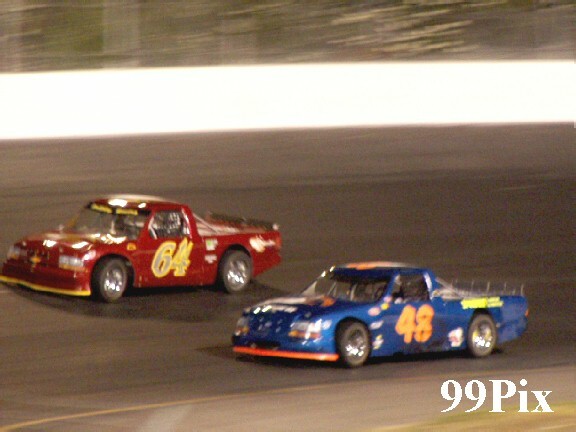 He grabbed the lead in lap-16 on the backstretch and held it through the contest. 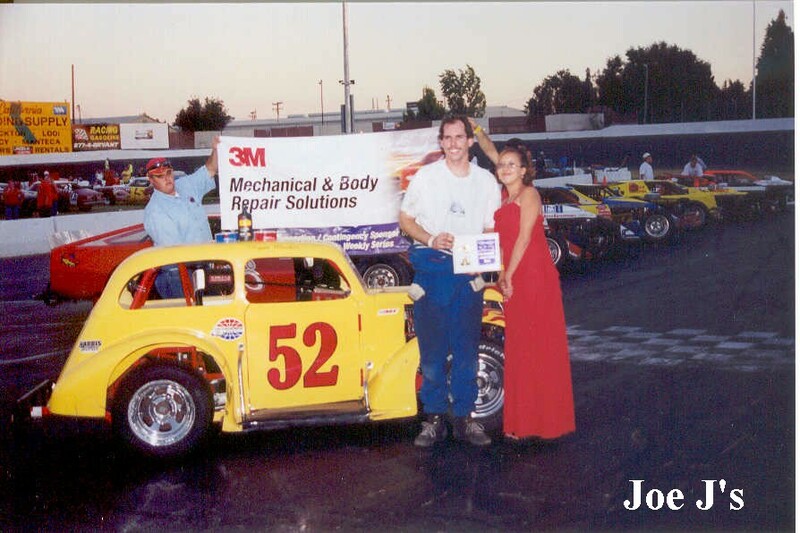 Milpitas’ #3, Ron Robeck took second, Lodi’s #48, Mike Curry earned third, Salida’s #76, Dave Daniel finished fourth and Saratoga’s Carrie Miller, #27, came in fifth. Fans of three time main winner and qualifying record setter Chris Drysdale, of Campbell, discovered that he wouldn’t be racing Pro-4s the rest of the season. 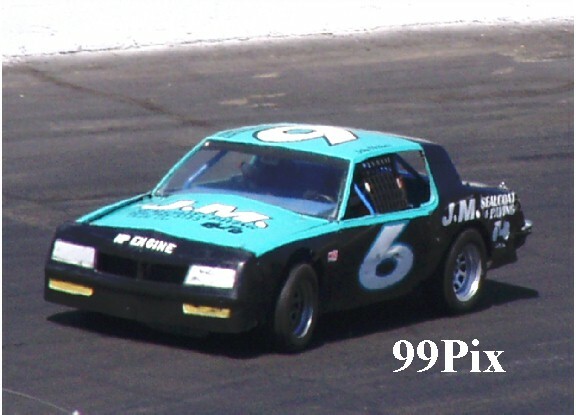 Miller, Drysdale’s sister, took over behind the wheel of the Miller’s Automotive truck he had been driving, after Miller’s Automotive sold the Pro-4 that Miller had been racing. 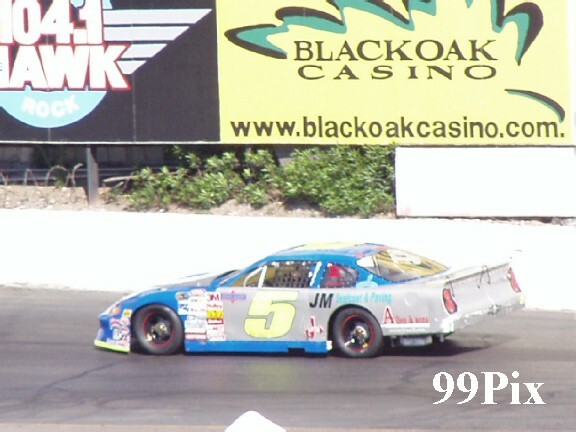 But, don’t be disappointed, Miller’s Automotive purchased a Western Late Model that Drysdale will be racing. Drysdale said that he hoped to premier in at least one race this season, but that next season he would be a Western Late Model regular. Galt’s #2, Jason Kerby swept the division. Kerby is leading the division in points, it was his seventh main win this season. 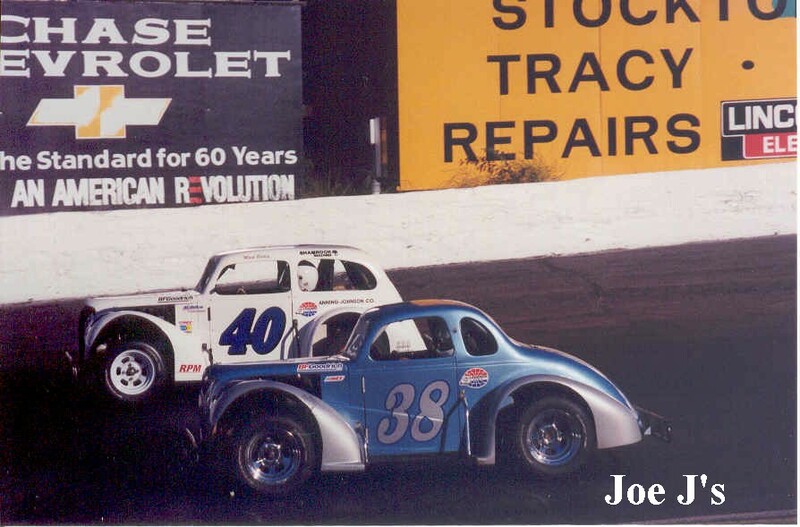 Newark’s’ #34, Ted Montague IV took second, Modesto’s #15, Mike Beeler earned third, Ripon’s #06, Ed Cullom earned fourth and Stockton’s #75, Joe Allen finished fifth. 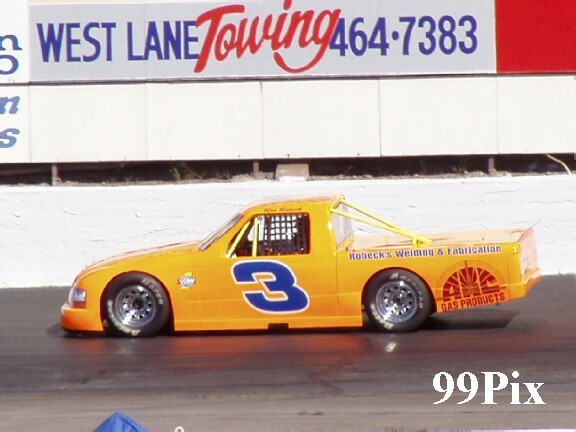 Although not a NASCAR event, Legends racing is always exciting to watch and it is one of Stockton 99 Speedway’s fans’ favorites. Cupertino’s Ryan Mosher captured his fourth main event race of the season. And he credited an unknown fan and equipment with the win. 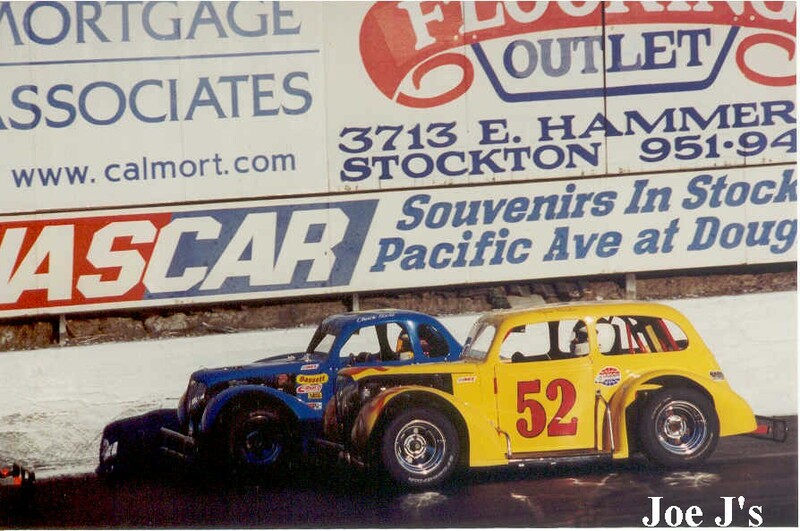 San Lorenzo’s #40, Mark Bailey took second, Elk Grove’s #15, Chuck Scott came in third, Sebastopol’s #14, Frankie Winchel finished forth and Santa Clara’s #58, Rick Andrews took fifth. David Winchell, #0, of Sebastopol, won the trophy dash. 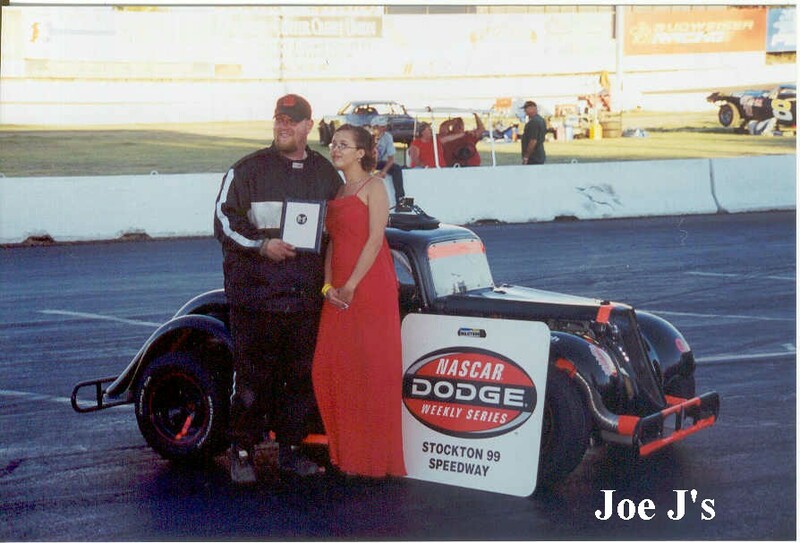 On Saturday, July 31Stockton 99 Speedway’s NASCAR fans will be thrilled by the AUTOZONE SOUTHWEST TOUR SERIES “125” presented by HAVOLINE. JM ENVIRONMENTAL and CL BRYANT. 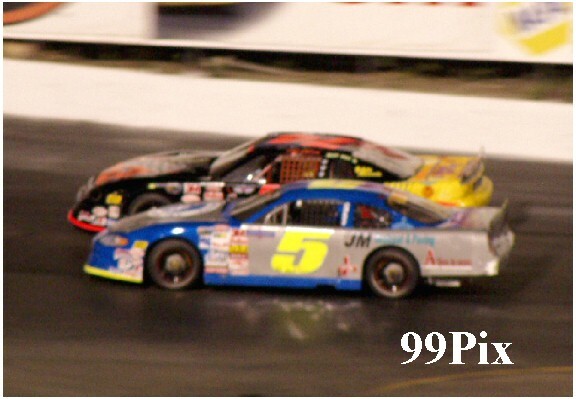 Western Late Models, Pro-4 Trucks and Pure Stocks will also run. Grandstands will open at 2 p.m. Official qualifying runs start at 4:30 p.m. Dashes, heats and preliminaries start at 6 p.m. 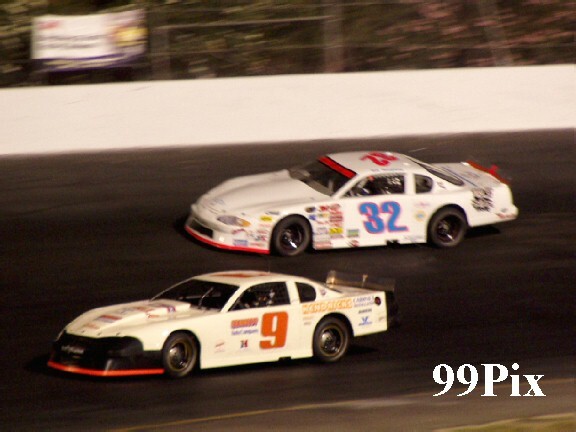 Admission to the area's only NASCAR Saturday night family entertainment is $30 for adults, children 5 and under free, juniors and seniors are $20, children 6 to 12 are $5 and family packages for two adults and up to four kids under 12 are $59.99. Kids 5 and under are free, accompanied by an adult. $5 adult discount tickets are available at your local AUTOZONE store. Weekend RV camping is $50. VISA and Master Card are always welcome. 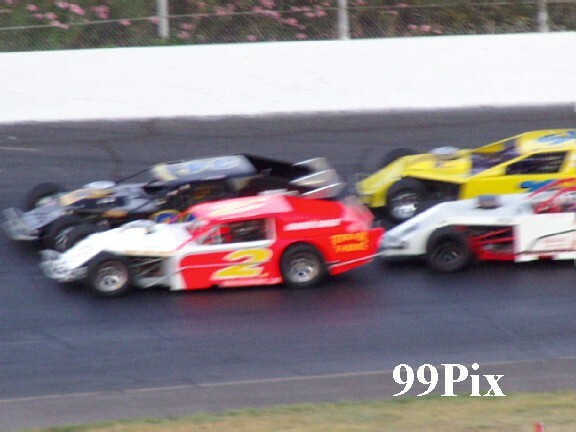 Stockton 99 Speedway is located at 4105 North Wilson Way. Traveling south on Highway 99, take the Wilson Way exit. The track is two blocks up the road just past the first stop light. On Highway 99 north, take the Cherokee Road exit, loop over the freeway to Newton Road and turn right. Drive one mile and turn left at the Wilson Way stoplight. From Interstate 5, get on the Cross-town Freeway and head east to Highway 99 north, then drive north on Highway 99 to the Cherokee Road exit. 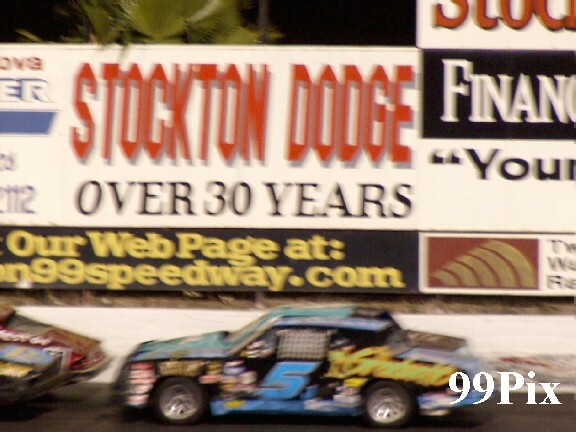 For information, call (209) 466-9999, or visit www.stockton99speedway.com.